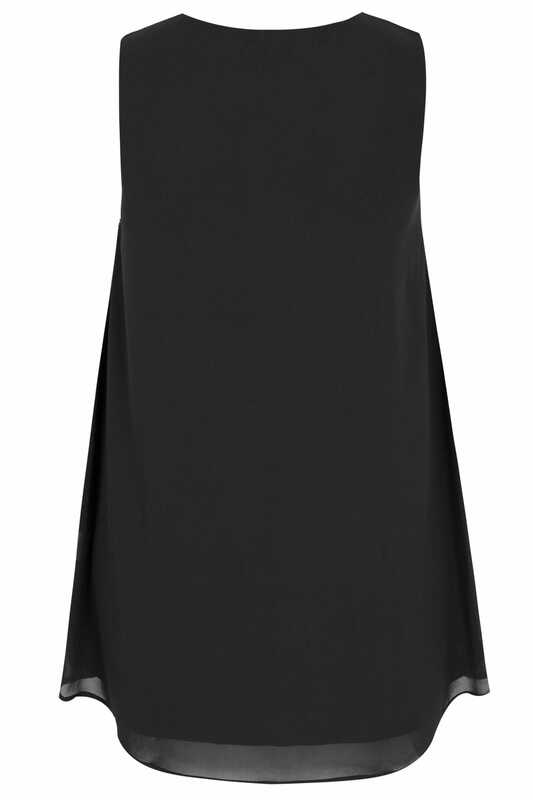 This sleeveless chiffon top is perfect for parties and special occasions. 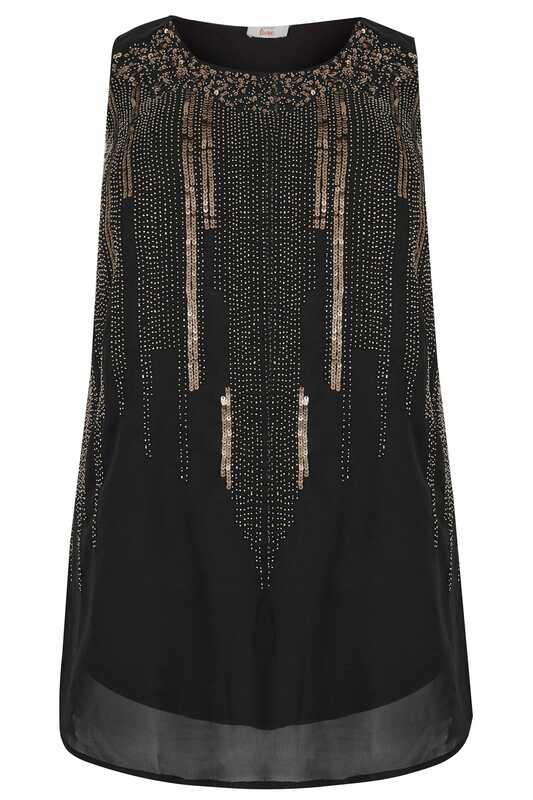 In a longline style with a scooping neckline, it features stunning sequin embellishments and beading to the front for a glamorous look. Team with skinny jeans and heels to complete the look. 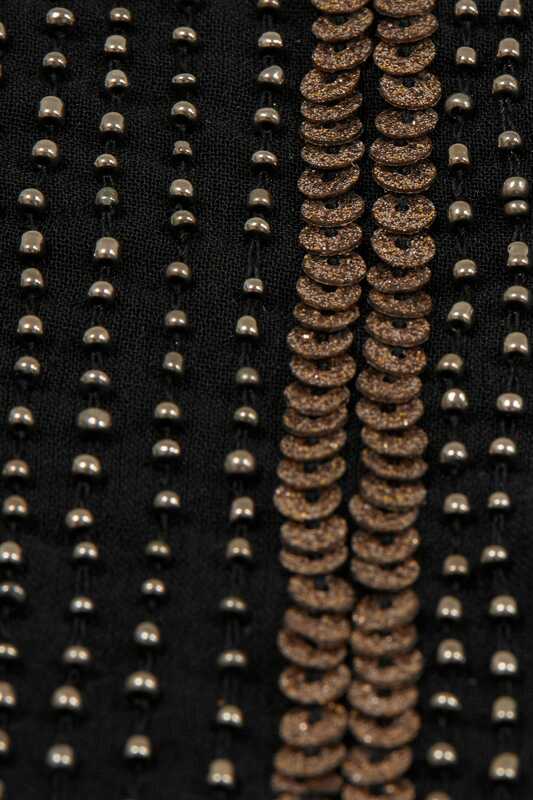 We love the exquisite beading and sequin embellishments.